If you want to be successful in being hired for a New York Civil Service job, especially Law Enforcement jobs such as NYPD you have to gather the accurate data before filling out your investigation paperwork. Best policy is to go to any the Clerk of the Court in any county in which you were arrested or received a summons and get a Certificate of Disposition. Get a LIFETIME driver’s abstract from the NYS Department of Motor Vehicles. Go to the DMV website for instructions on how to do this and give a couple of weeks to receive the document. Get all school and work discipline records. Failure to accurately record this information on your APD5 will not be excused by the hiring agency. You will receive a disqualification notice with OMMISSION OF PERTINENT FACTS checked off. DCAS is New York City’s personnel department. DCAS has delegated the task of investigating applicants to the NYPD. You can appeal an NYPD disqualification. 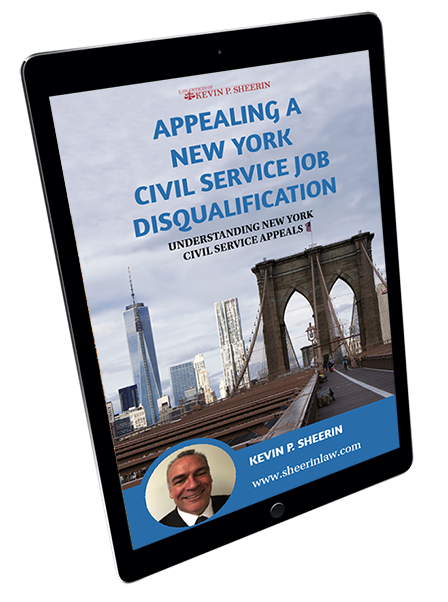 Applicants who are disqualified from appointment may challenge an agency’s findings on the grounds that such findings were made in bad faith or were arbitrary and capricious.